Moved here in 1986, this 60-foot riveted Pratt pony carries Surrey Lane across a small creek in Fairview, the seat of Major County. Above, a view through the span. 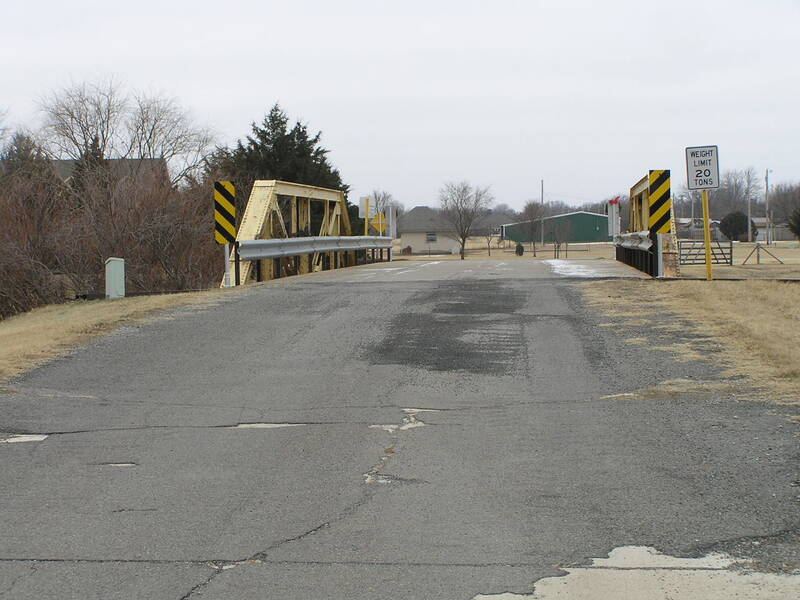 Below, a side view of the span. The span rests on steel pilings. 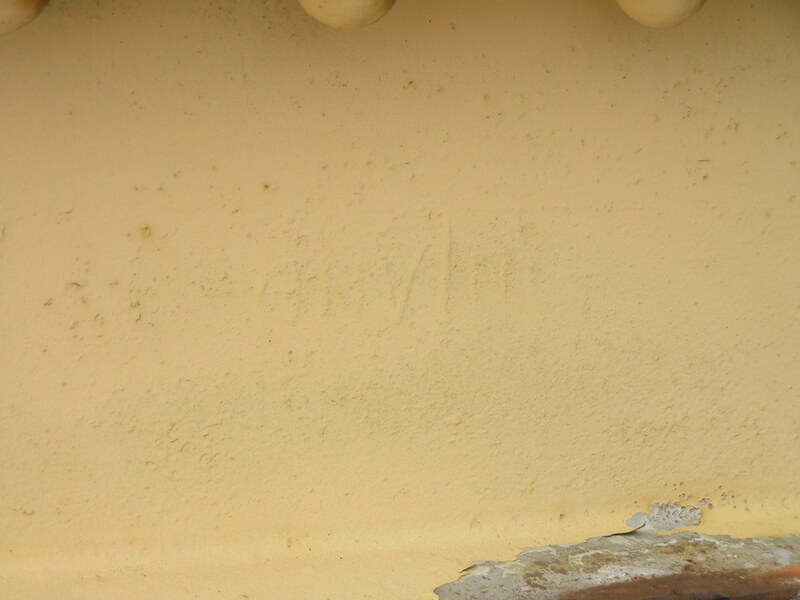 Above, a close-up of the steel-tube post at the center of the bridge. 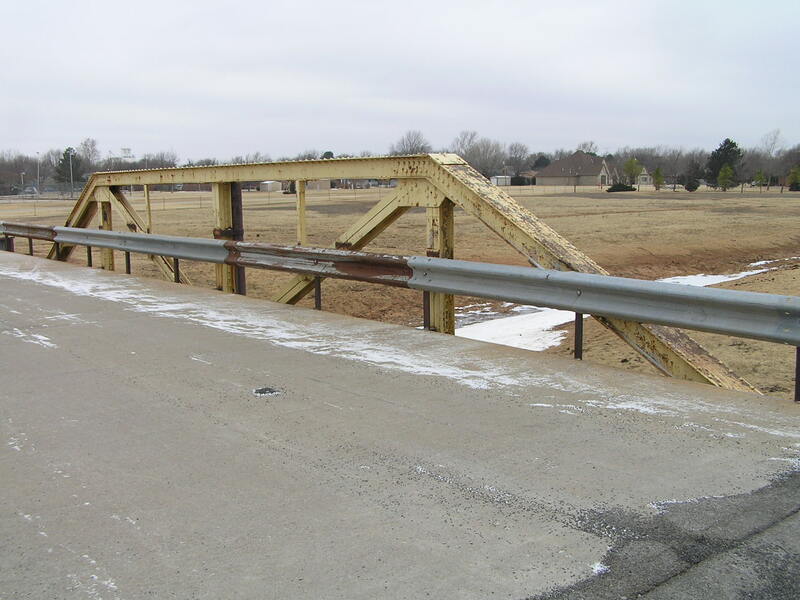 Judging by the connection between the post and span, we don't know it is taking any load or not. We suspect not. Above, though faintly visible, this is an Inland Steel mark on the channel of one of the endposts. Below, a deck view of the truss. 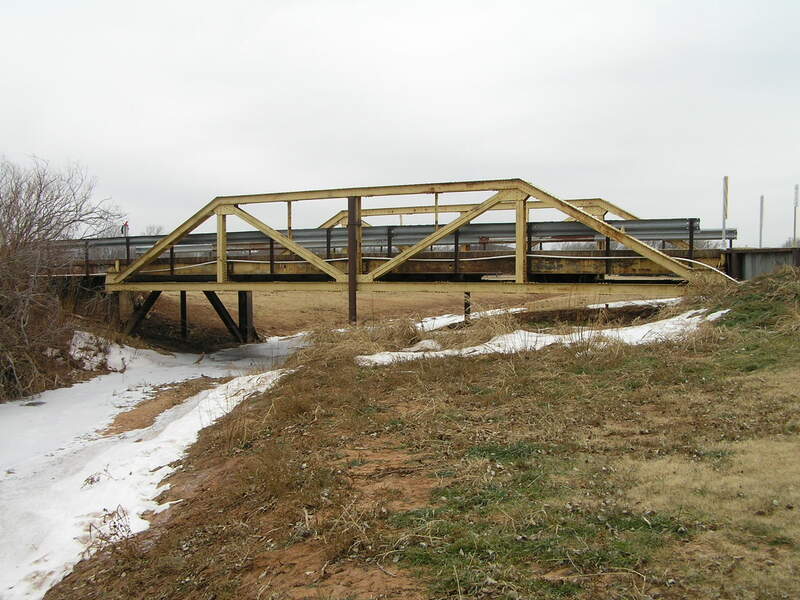 This span would have originally carried lattice or simple channel railings. All of the bracket stumps were found still in place. 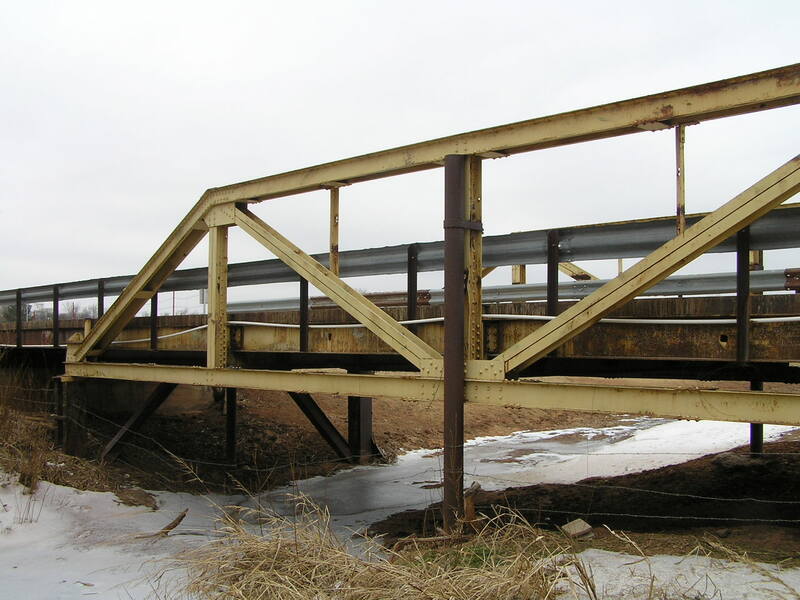 With its 20-foot wide deck, we speculate this may have originated as a late 1920's or very early 1930's highway span. All the members are of built up construction.